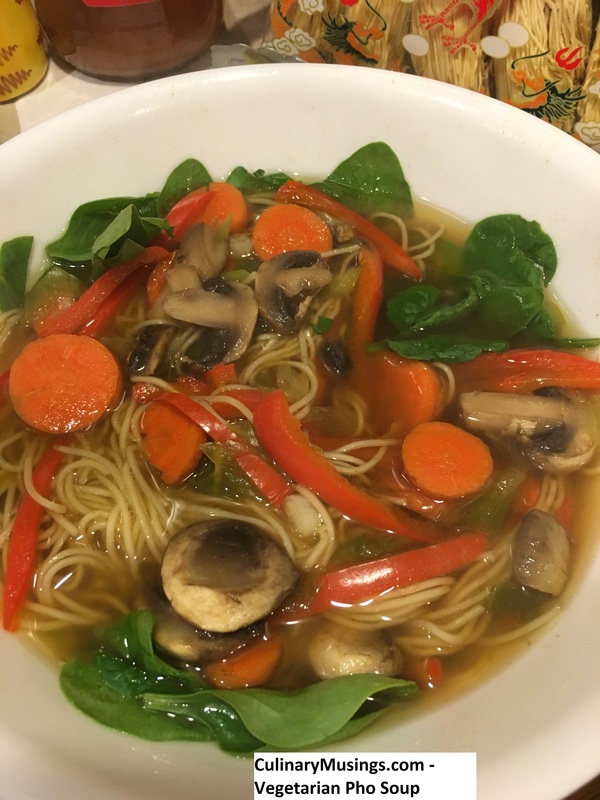 Easy Vegetarian Pho is a quick healthy meal that tastes delicious. Even picky eaters will love this colorful nutritious recipe that is tasty and easy to make. Best of all, you probably already have all the ingredients in your closet. Handful of fresh spinach in bowl. Cut up vegetables. Heat stock in large pot. Dump vegetables into pot and cook. Add noodles five minutes before eating. Put fresh spinach in bowl. Pour soup into bowl and stir. Enjoy.